A day after her wedding ceremony in Dubai, experts have badmouthed the designer Vera Wang dress Tiwa Savage wore on her wedding day. amendments, but the expert jury we put together to access the wedding dress has given velvety voiced Savage a hard knock! according to our team did not do justice to her size or her shape! We are told that the ball, strapless gown could have been perfect if Tiwa Savage was a fuller figure woman but for her shape it was off the mark. In fact, one of the experts said jocularly that except she had become pregnant over night; it was not appropriate. “The gown looked over-sized at first glance and that is not a good sign at all”. “Tiwa is svelte, with an hour-glass shape to die for, did you notice that with the dress? If you didn’t then that dress did not pass the first test of fitting. Maybe the gown minus the frills would have worked better” one of our experts noted. 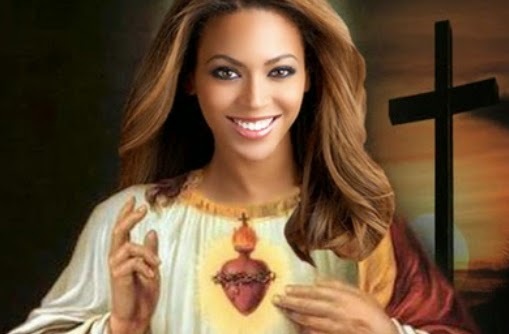 based on a mortal being called Beyonce. According to sources from Atlanta Georgia, the 12 friends created the religion one afternoon while they were high on Marijuana. Knowles and has opened its first church in Atlanta, Georgia. They regularly gathered each Sunday to sing Beyonce’s songs, and decided to form Beyism while smoking marijuana one day. peace. They don’t believe the star singer is a human being, they claim he is a creator who sits among the “throne of Gods”. 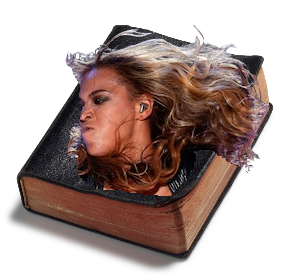 The church of Beyonce has also published their own version of the the bible called Beyble which is currently in print. The congregation also hopes to build a temple and further expand its reach outside the Atlanta area. Dedicated Beyists live in Canada, America and the United Kingdom. This is madness! Chei pls God no vex o. 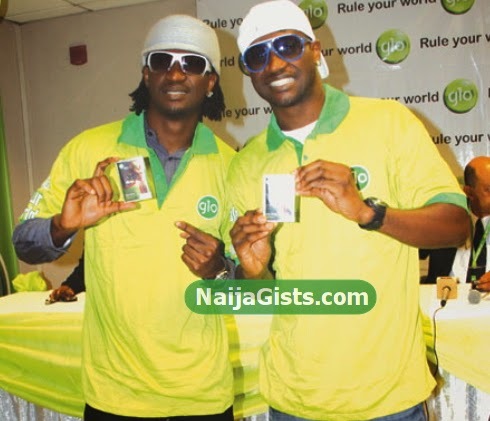 The viral breakup story of P-Square musical duo has reached Nigerian Telecommunication giant, Globacom who signed them up for a major endorsement deal recently. 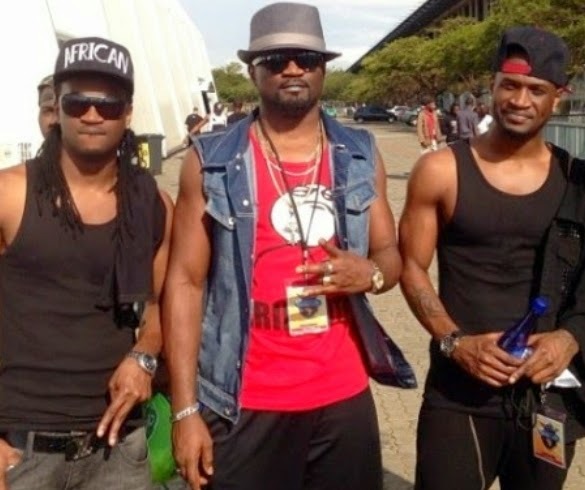 A source from the telecommunication operator said the contract was signed with P-Square as a group and not with Peter or Paul and if they breakup, their contract will be terminated. “Since Glo has a contract with P-Square, and not with Peter or Paul, their breakup will definitely lead to the termination of the contract,” the source said. Hope these Nigerian superstars are working to put things in order. lifetime after the discovery of a glass trap door in the middle of his kitchen. 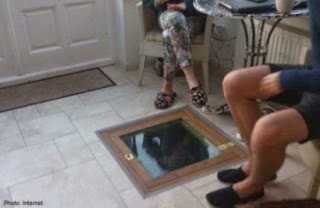 The man recently bought the house in England only to discover the mystery hole in the kitchen. though no one knows for sure why it was there. 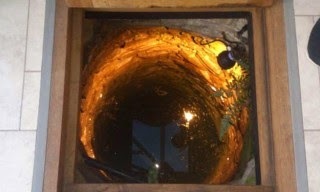 Many people have commented that it is indeed very scary to make such a discovery in your own house, as you never know what could be hiding in the dark pit. The former wife of Nigerian singer Abolore Akande aka 9ice, Toni Payne has stepped in to defend Lola Omotayo over the ongoing problem currently generating tension in P-Square camp. blaming Lola for Peter and Paul’s fight if they don’t want the wrath of God. Toni Payne said she has gone through the same thing. She came hard on a fan who called Lola a bad luck for the Okoye family. Just a recap, the musical duo got involved in a physical fight after a heated argument..If not for the timely intervention of their dancers, it would have become another thing. Another issue that is currently generating tension in the Okoye’s family is the issue of Lola Omotayo, a lady from another tribe whom Peter Okoye married last year. As we speak, the Okoye’s family do not like her…. 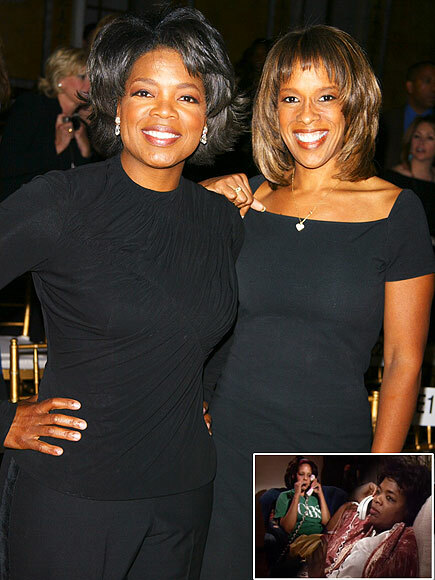 I hear the issue started with their late mother…. My source told me that Mrs Josephine Okoye doesn’t approve Peter and Lola Omotayo’s relationship but because they already have a son at that time, Peter Okoye stood by Lola. Their union became official when Lola delivered Peter Okoye’s second born, Aliona Okoye last year. 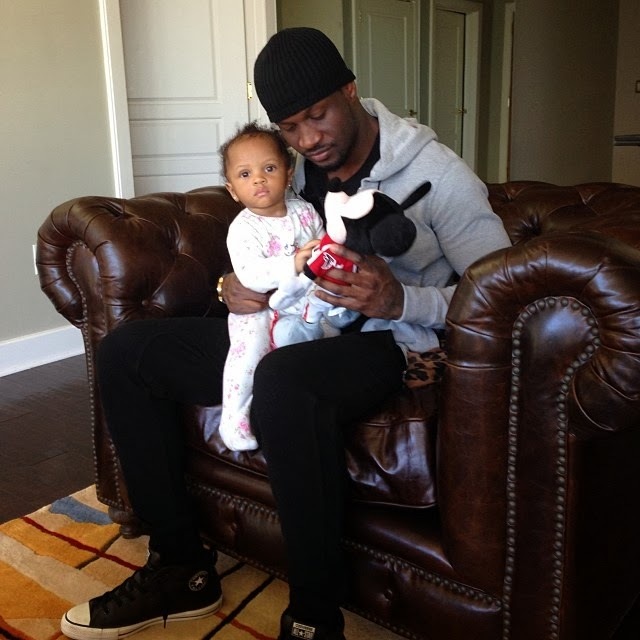 To cut the long story short, I hear Peter Okoye has packed out of the Okoye’s family house after accusing his brother Jude Okoye of disrespecting his wife who is currently pregnant with the couple’s third child. Peter Okoye also accused Paul and Jude of sidelining him meaning they always limit him to the dance part of their project. The major issue in the Okoye’s family right now is the issue between Jude Okoye and Lola Omotayo. confronted Peter and asked him why he didn’t marry Lola when their mother was alive knowing fully well that their late mother wasn’t in support of the relationship. To cut the long story short, last week Thursday, a day after the twins exchanged blows during rehearsal, commissioner of Police paid a visit to their mansion for settlement but nothing is coming forth. As we speak, Peter Okoye has contacted their family lawyer in order to divide their properties for his own share. My source further said the issue between Peter Okoye and his elder brother Jude Okoye came open when he attended his twin brother, Paul Okoye’s wedding in Port Harcourt last month. Recall that Jude Okoye shunned Lola Omotayo and Peter’s wedding last year despite the fact that he was in Nigeria. Peter Okoye has moved out of Squareville mansion in Omole estate. He is now living with his wife and children in Lekki Phase 1. I hope Jude Okoye will resolve any differences he has with Lola in order to preserve the dignity and protect the future of P-Square group. 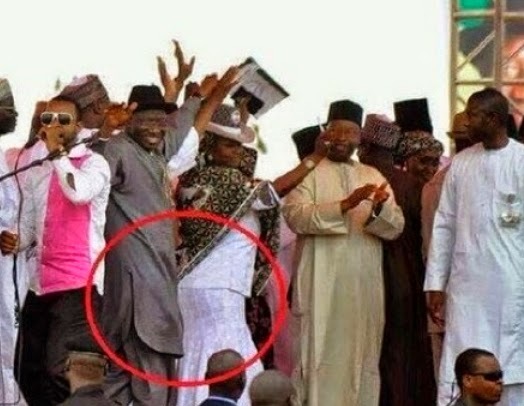 Nigerians, see your President digging it in Kano barely 24 hours after 2 suicide bomb explosions killed close to 100 people in Abuja. While many Nigerians were busy mourning their loved ones, their Oga at the top was very busy campaigning for re-election in the north…. HOW SAD! The car containing the bomb that exploded at Nyanya Motor Park, Abuja, on Monday, was driven to the park by two men in military uniform. The Head of Operations of Isiyaka Nagode Enterprises, Salisu Mukhtar, disclosed this in an interview with one of our correspondents in Abuja on Thursday. Mukhtar also said that the staff of the company had been questioned by the police. He stated, “Somebody that slept there told us he was there when two men in Army uniforms entered and parked a car there. “Two of them came in two cars. They parked the car and left in the other car around 2am. The person that saw them could not challenge them because they were in military uniform. They left in the second car. According to him, the FCT police command has begun investigation into the incident, adding that they (the management of the park) did not witness the bomb blast. Mukhtar told our correspondent that seven of his men died in the bomb blast. One of our correspondents learnt that a trader at the terminal saw the car being driven into the park. It was gathered that a trader, who was awake when the two men arrived in separate cars had been making useful statements to security agencies in order to unravel the mystery surrounding the bomb blast, which had claimed 89 lives with 257 others injured. Our correspondent learnt that the trader had also been invited by Army authorities to extract statement from him. He referred inquiries to the Force Public Relations Officer, Frank Mba. Mba, however, did not respond to calls to his phone and a text message sent to him. When our correspondent contacted the Director, Army Public Relations, Brig.-Gen Laleye Olajide, he described the claim as a falsehood which should be dismissed. Olajide said that those making the claim were only on a mission to destroy the image of the Nigerian Army. Olajide wondered why those making the claim did not say it when the explosion occurred on Monday. He said, “Why did they not say so in the beginning when the explosion occurred if it was true? Monday and I have not read it anywhere. People said they even recovered the bodies of the bombers, they did not say the bodies were recovered with military uniform. In the wee hours of Friday the 18th of April 2014, dare devils attacked students of UniOsun in Osogbo at some private hostels very close to the main campus of the institution. 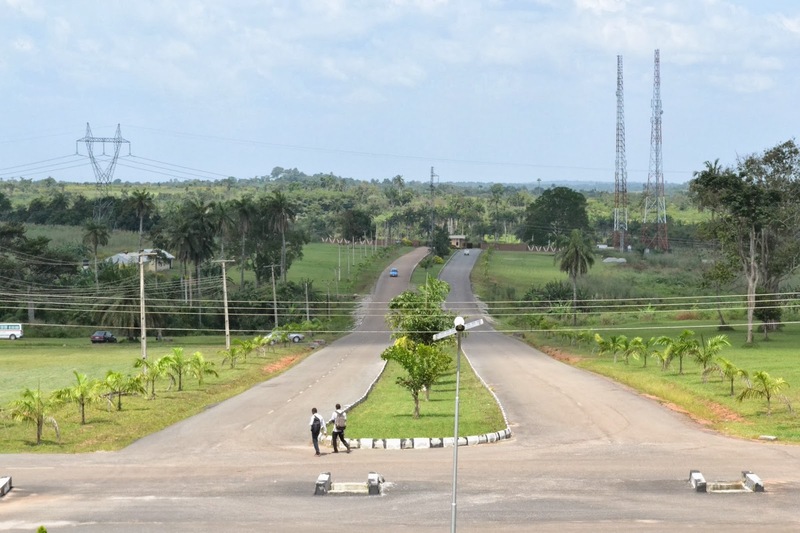 The armed robbers armed with dangerous weapons stormed the different hostels and robbed the students of their laptops, phones, beverages, money and other valuables. Eyewitnesses disclosed that the robbers also raped some female students and all efforts by the male students to subdue them were unsuccessful due to the nature of the weapons the robbers carried. It was learnt that some students worshiping at the All Nations Baptist Church located close to the university campus were also attacked by the armed robbers. 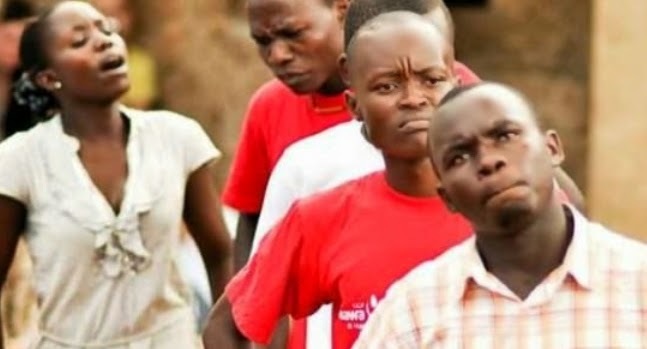 The head of the church, Reverend John Ojo said that the robbers chased the worshipers out of the church during a vigil, adding that majority of the students sustained injuries in the course of running for their lives. He explained that robbers stormed the church around 1.30am and unleashed terror on the students for close to two hours. According to him, “the students had been experiencing incessant robbery attack since January and the management has ignored the students under the guise that they are living off campus. Two of the students who were attacked, Toyin Banjo (200 level) and Ayeni Tosin (200 level) said they were in the church when the robbers arrived, saying they forced open the windows of the church. The Police Public Relations Officer (PPRO), Mrs.
Folasade Odoro who confirmed the robbery incident said the state Police Commissioner, Mr Ibrahim Maishanu had ordered investigation into the incident. She said the Police Command will work assiduously to ensure that the hoodlums are brought to book as soon as possible. EXPENSIVE jokes on social media sites. How much are those Twitter followers really worth? 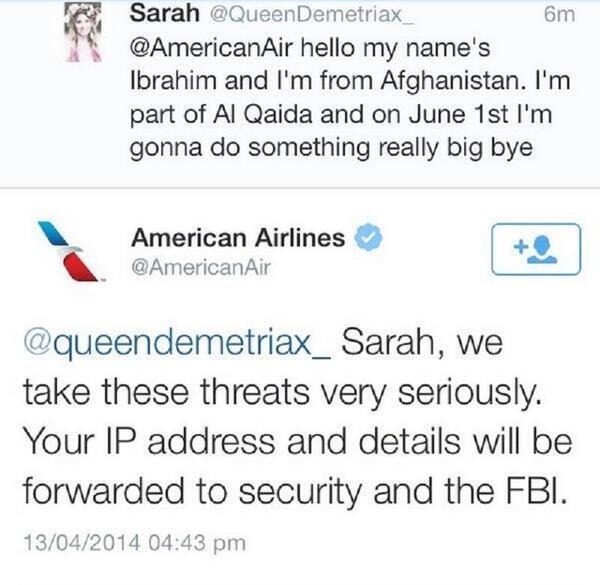 A 14-year-old girl from the Netherlands was arrested on Monday after tweeting a terror threat to American Airlines — and marveling at the Twitter followers that she attracted because of it. “Hello my name’s Ibrahim and I’m from Afghanistan. threats seriously” and would report her tweet and IP address — not information the airline would actually have access to — to the FBI. “omfg I was kidding.” “I’m just stupid okay.” and “Omg I gained 3k followers today.” However, it appears airline wasn’t impressed. Rotterdam police confirmed on Monday that the girl had been arrested. At American, the safety of our passengers and crew is our number one priority. We take security matters very seriously and work with authorities on a case-by-case basis. The teen, whose name is “Sarah,” later tweeted that she needed some legal representation. “I need a lawyer. Any lawyers on here?” she asked on Sunday, hours before the arrest. At least 12 Nepalese guides preparing routes up Mount Everest for commercial climbers were killed Friday by an avalanche in the most deadly mountaineering accident ever on the world’s highest peak, officials and rescuers say. The avalanche occurred at around 6:45 am (0100 GMT) at an altitude of about 5,800 metres (19,000 feet) in an area known as the “popcorn field” which lies on the route into the treacherous Khumbu icefall. “We have retrieved 12 bodies from the snow, we don’t know how many more are trapped underneath,” Nepal tourism ministry official Dipendra Paudel told AFP in Kathmandu. Assisted by rescue helicopters, teams of climbers are still searching for survivors with at least seven people plucked alive from the ice and snow, Paudel told AFP. “I have seen 11 bodies brought to the base camp, we have been told to expect three more,” the member of non-profit Himalayan Rescue Association said by telephone. Kathmandu-based expert Elizabeth Hawley, considered the world’s leading authority on Himalayan climbing, said the avalanche was the most deadly single accident in the history of mountaineering on the peak. The previous worst accident occurred in 1996 when eight people were killed over a two-day period during a rogue storm while attempting to climb the mountain. That tragedy was immortalised in the best-selling book “Into Thin Air” written by US mountaineering journalist Jon Krakauer. 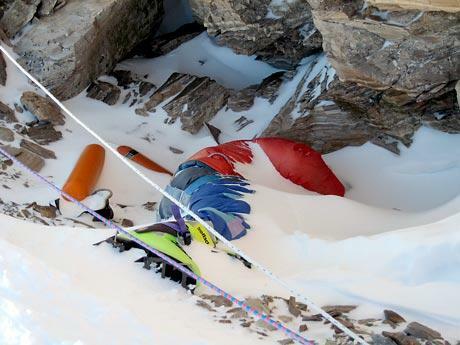 “This is the absolutely the worst disaster on Everest, no question,” Hawley told AFP. Climbing Guides Nepal confirmed that two of their guides were among the dead and four were missing. snowfall, the weather was just fantastic,” operations manager Bhim Paudel told AFP. “We expected to follow them, we had no warning at all,” he said. sherpa guides, who carry tents, bring food supplies, repair ladders and fix ropes to help foreign climbers who pay tens of thousands of dollars to summit the peak. Nepal’s worst-ever climbing disaster happened in 1995 when a huge avalanche struck the camp of a Japanese trekking group near Mount Everest, killing 42 people including 13 Japanese. The impoverished Himalayan country is home to eight of the world’s 14 peaks over 8,000 metres. Nepal’s government has issued permits to 734 people, including 400 guides, to climb Everest this summer. In a bid to address concerns of overcrowding on the “roof of the world”, the government earlier announced plans to double the number of climbing ropes on congested ice walls near the summit of Everest to reduce congestion and risks for climbers. ongoing brawl between Jude Okoye and his brother (Peter Okoye) few weeks ago, critics said I’m poke-nosing into their family affair. I can authoritatively confirm that Jude Okoye’s issue with Peter Okoye’s wife, Lola Omotayo has led to a major fight between the musical twins. 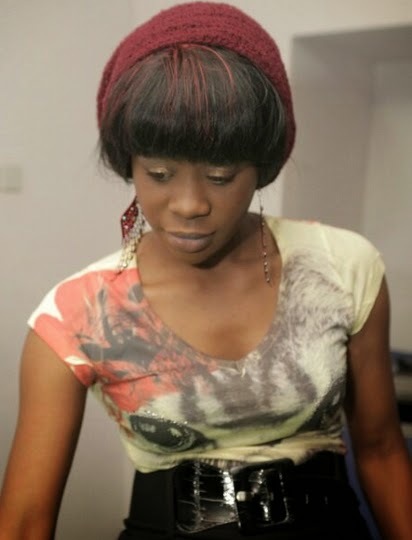 A source who wrote NaijaGists.com late last night said the twins are at loggerheads. The source further said that the duo exchanged blows during a recent rehearsal and were separated by their dancers. While planning to get married in Dubai, they have hit a major stumbling block which involves forcing their elder brother, Jude Okoye to attend their white wedding in Dubai. tribalist can’t sit in the same room with Lola.Omotayo, the wife of his brother, Peter Okoye talk less of attending her wedding. Recall that Jude Okoye was absent at Peter Okoye & Lola Omotayo’s traditional wedding in Lagos last year but he came to Paul Okoye and Anita Isama’s wedding in Port Harcourt last month…..So can you guys see where the fight is coming from? As we speak, Jude Okoye, the number one cause of the ongoing fight between Psquare said he has quit as their manager after 10 years. Tribalism is everywhere in this country and it is the major source of family wahala. 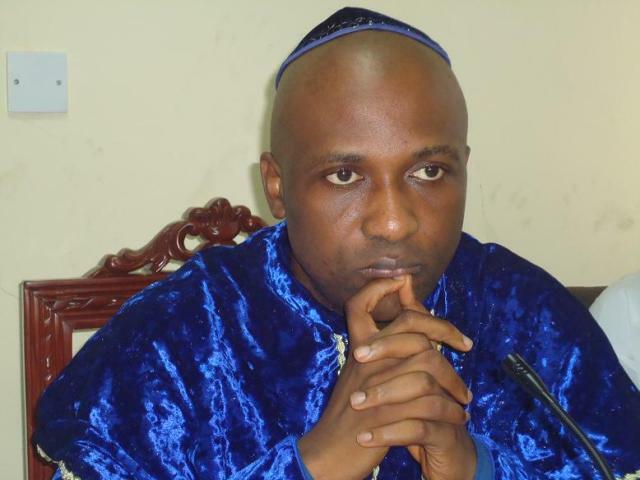 Prophet Ayodele Elijah, the founder of Inri Evangelical Spiritual Church in Oke Afa, Isolo area of Lagos State Nigeria has predicted more bomb explosion attacks on the nation. You predicted the bomb explosion in Abuja and it came to pass. What can we do to avert more of these ugly incidents? There are moles in the Presidency, the Senate, House Of Representatives, SSS, Nigeria Police Force, the Army, Air Force and the Navy who give information to these terrorists and President Goodluck Jonathan knows them too well but he is afraid to face them because of his second term ambition to rule the country. These people are also targeting shopping malls and markets. 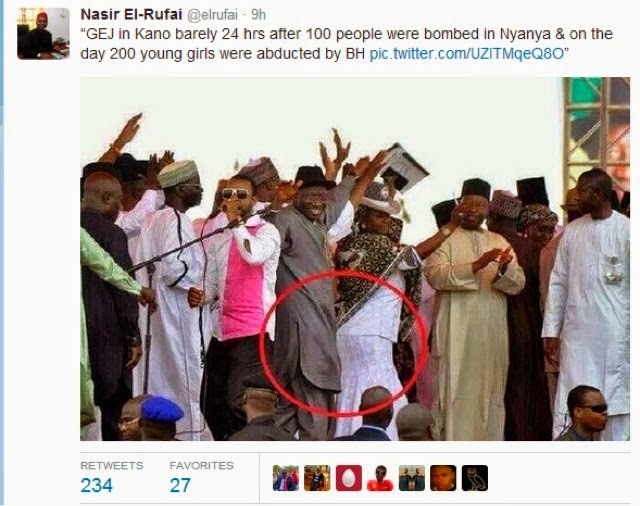 Can’t prayers solve the menace of Boko Haram? Why not? With prayers these problems could be solved but our leaders have soiled their hands in evil acts. Most of them derive joy in seeing blood. If Jonathan comes back 100 times to rule this country, he won’t be able to solve the problems. He does not listen to the voice of God, flattery and deceit are good music to him. When you praise him he is always happy. Most of the pastors he goes to are afraid to tell him the truth. There Is red signal all over the country. What is your assessment of the ongoing confab? What are your views on the prevailing political situation? The leadership of All Progressives Congress are not ripe for the presidency. APC members will defect to the PDP before the 2015 elections and if APC refuses to give Muhammadu Buhari the ticket to contest the presidency he will quit. And there will be no election in some states. The Minister Of Finance, Dr. Ngozi Okonjo-Iweala and Minister of Petroleum, Mrs. Diezani Allison-Maduekwe will face probes and challenges. All governors should pray so as not to lose four of their own to the cold hands of death. We have not prayed enough, security intelligence does not recognise prophecy, bloodletting will continue. On the abducted students, they will come out unhurt. As the World Cup kicks off in June in Brazil, can the Super Eagle win the cup? They will try but they won’t get to the semi-final. Coach Stephen Keshi will quit coaching the Super Eagles after the World Cup. The Nigeria Football Supporters Club will have serious problems to contend with. What can you say about the missing Malaysian aircraft? The Malaysian government should be held responsible because they know its whereabouts. Sunday morning spoke against the anointing oil. The pastor-turned politician said anointing oil is like an insect repellant used by the Jewish people. According to the epistle according to Tunde Bakare, anointing oil is the same as otapiapia? 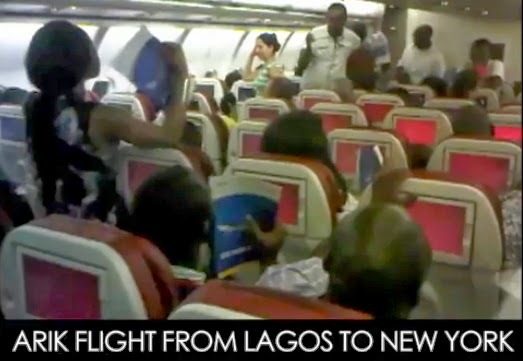 Passengers Locked Inside Arik Air Flight From Lagos To New York Protest..Banky W Incl. subjected to hardship after the flight engineers started checking the aircraft immediately after boarding. After enduring the hardship for a while, the passengers started protesting for their freedom. EME Boss Banky W was among the passengers who experienced the untold hardship and excruciating heat after boarding the Arik aircraft. These Arik people… their wahala too much. 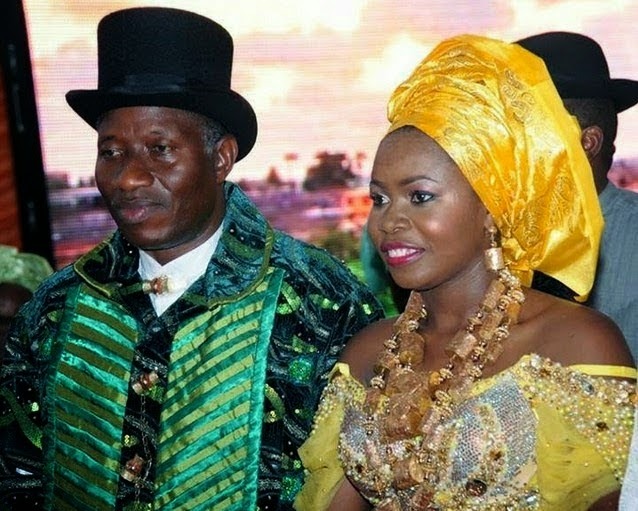 According to sources at the wedding ceremony, Faith, the first daughter of Nigeria’s President Goodluck Jonathan received 80 cars from dignitaries as her traditional wedding gift. Sources from Bayelsa said all the PDP governors and dignitaries who came to the wedding ceremony gave a car each to Faith and her hubby Godswill.